Dining out can be challenging when you are trying to eat low-carb and enjoy healthy foods. The key to eating a low-carbohydrate meal when dining at restaurants is preparation. If you go to a restaurant without research and planning, you will be more susceptible to the high-carbohydrate breads, pastas, fried foods, and desserts. Give yourself a better chance of maintaining your healthy diet by doing your homework before you go so you can stay low-carb at restaurants. This article will discuss each step in the dining out process from choosing the restaurant to ordering dessert. With the recommendations below, you will be able to enjoy yourself when you eat low-carb meals dining out. First, let’s look at why eating a low-carbohydrate diet is beneficial. A diet low in carbohydrates can help people lose weight, reduce inflammation, boost energy, and improve brain health. It can even extend your life. Another reason to eat low-carb is that many people have sensitivities to gluten and lectins. Most high-carbohydrate foods contain gluten and/or lectins. Gluten sensitivity has become epidemic and is a major factor in numerous inflammatory disorders. Lectins, which are found in grains, bind sugars and carbohydrates together. For some people, lectins can cause severe inflammatory issues. It can be easier to eat low-carb when eating at home because you are buying and preparing the food. However, eating out can pose challenges for someone following a low-carbohydrate diet. With the following tips, you will be able to eat low-carb at restaurants too! The first step in being prepared for dining out low-carb is choosing a restaurant. The wonderful thing about the Internet is that almost every restaurant has a website with access to their menu. Some restaurants even have nutrition information. There are also several independent websites that can be helpful when choosing a restaurant. TripAdvisor, Urbanspoon, Chowhound, and Yelp have customer reviews, links to restaurants’ websites, and sometimes the menu. Another great website is eatwellguide.org. You can search for healthy restaurants in the city in which you are dining. When choosing a restaurant, look for a varied menu with numerous options. It is best to avoid buffets and “all-you-can-eat” places. The food at both is usually very low quality to keep costs down. The exception would be a salad bar with healthy options. Even with salad bars, you must watch for high sugar, high carb options. Fast food restaurants are not good options for dining out. Fast food restaurants serve processed foods that usually have genetically modified corn or soy derivatives. For any health-conscious eater, it is important that you never go to a restaurant hungry. We make poor nutritional decisions and are much more susceptible to eating an unhealthy, carbohydrate-loaded meal when we are hungry. Be prepared by eating a healthy snack before leaving home to give yourself the best chance of maintaining your low-carb diet. It is also important to study the menu of the restaurant you have chosen prior to arriving at the restaurant. If the restaurant does not offer a menu online, call the restaurant and ask them to email or fax it to you. Decide what you want to eat before you leave the house. If you know what you are going to order, you will be less tempted by high-carb options on the menu when you are at the restaurant. 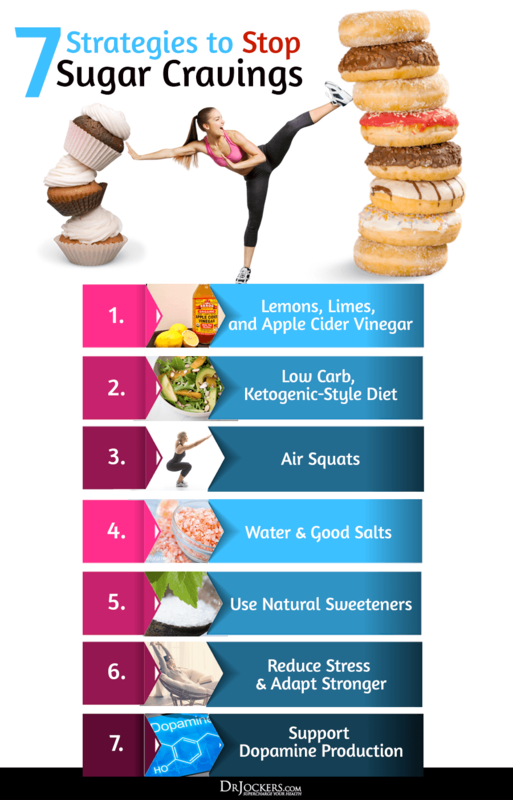 If you frequently cave to your sugar cravings, also follow the below strategies. Once you are seated, this is the time to take charge of your experience. Start by politely sending back the basket of bread or asking the waiter not to bring one. Instead of bread, ask for crunchy raw vegetables, such as cucumbers and celery. Enjoy guacamole with the vegetables as an appetizer. Guacamole is made from avocados, which contain many nutrients and are high in healthy monounsaturated fats. Ask the waiter to remove the dessert menu from the table. Dessert menus, with pictures of high-carb, high-sugar cakes, cookies, and pies, can derail even the best-laid plans. Even if it is a tabletop display, give it to your server to remove from the table. Instead bake your own low-carb dessert to enjoy when you get home. We have plenty that are low-carb, high in healthy fats, and will leave you full and satisfied throughout the night! One favorite are these keto chocolate chip cookies!!! Many people stumble when ordering by making quick decisions and rationalizing poor choices. Because you have planned ahead, it will be easier to stay on course. If you are faced with a menu and no time to prepare, there are several guidelines you can follow. If it is possible, try to be the first one to order. Listening to others’ choices can make high-carbohydrate options more tempting. Look for protein, vegetables, and healthy fat. When you are ordering, do not rush into making a hasty decision. But once you have made a healthy, low-carb decision, stop looking at the menu. It is important to ask your server questions about the menu. How is the food prepared? What type of cooking oil do they use? What comes on the salad? Is the chicken breaded? Do not ever be shy about asking questions. It is this kind of consumer awareness that will eventually drive restaurants to serve even healthier options! Most restaurants are happy to accommodate diners with substitutions and special requests. Do not be shy about asking for a different side dish or preparation method. Try ordering one course at a time. Order a healthy appetizer, but wait to order additional courses. Sure, you may be starving now, but how will you feel in 20 minutes after the appetizer? Take your time, relax and enjoy your dinner companions and the conversation. When deciding on an entrée, you want to look for options with clean protein, low-carbohydrate vegetables, and healthy fats. It is also important to consider how the clean protein source is prepared. 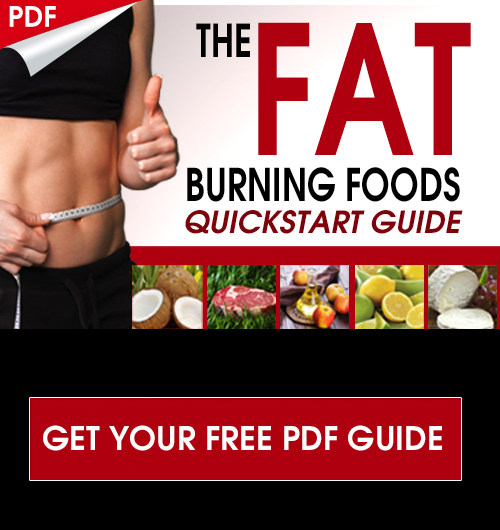 The best low-carb preparation methods are grilled, baked, steamed, broiled, poached, stir-fried, or roasted. Stay away from foods described as breaded, fried, or grilled. Look to eat low-carb vegetables such as broccoli, asparagus, or green beans. Other vegetables that are low in carbohydrates are cauliflower, cabbage, zucchini, spinach, kale, and Brussels sprouts. Ask that your vegetables be cooked in grass-fed butter or olive oil. Adding healthy fats will make the meal more satisfying. Pass on the pasta, potatoes and rice. Order your meal without the starch to keep temptation away. As mentioned above, most restaurants will happily substitute the starchy sides for low-carbohydrate vegetables. You may also be able to substitute and eat low-carb salad instead of a starchy side dish. When ordering a salad, be sure to request no croutons and ask for olive oil and vinegar or fresh lemon on the side. Unfortunately, most US restaurants cook with genetically modified oils. Over 90% of soy, corn, cotton (seed), and canola grown in the US are GMO. Olive oil is not a GMO oil. However, some restaurants blend olive oil with cheaper oil, such as canola oil. The best oils/fats for cooking are coconut oil, avocado oil, grass-fed butter, and olive oil (only on very low heat). Other healthy fats to include with your meal are ghee, avocados, olives, and grass fed cheeses. There are many things to consider when you eat low-carb at restaurants other than selecting the clean protein, low-carbohydrate vegetables, and healthy fats. There are also sauces, dressings, and condiments to accompany the meal. What if the burger or wrap sounds really good to you? Can you order a sandwich low-carb? You may want a soup or salad to accompany the meal. What are the best soup or salad options? And do we dare even think about dessert? Drinking water with lemon can help curb hunger so that you are less susceptible to high-carbohydrate foods. Lemon water aids in digestion and provides vitamin C and bioflavonoids. Sparkling water, coffee, and tea are also great low-carb beverage choices. You must be careful when ordering foods that have sauces, dressings, and condiments. These are usually processed concoctions with toxic ingredients such as GMO oils, artificial sweeteners, and preservatives. Most condiments, like ketchup, are high in carbohydrates and contain added sugars. Many sauces contain flour to thicken the sauce and sugar to sweeten the sauce. Do not hesitate to ask about the ingredients and avoid anything with sugar and flour. If you are unsure about a sauce, ask for it on the side or ask for extra virgin olive oil instead. Marinara and tomato-based sauces are usually low-carb if there is no added sugar to the sauce. Unfortunately, most of these tomatoes sauces have sugar added. A good alternative is to order all sauces, gravies and creams on the side so you can add to taste. Even better, rely on herbs and spices to flavor your food. Turmeric, cinnamon, rosemary, ginger, basil, oregano, thyme, sage, pink salt, and black pepper can add flavor and nutritional value to the meal. Become familiar with your favorites and ask your server for them (or bring some from home). If ordering a sandwich, burger, wrap, or tacos, ask to substitute a lettuce wrap for the bun, wrap or tortilla. If they will not substitute, then just eliminate the starch. Remember that wraps which sound healthy, such as “spinach” wraps, are usually mostly flour. You have to avoid these in order to eat low-carb and get the health benefits that come with it. Often high in fiber, the right soups and salads can curb hunger and add low-carb, nutritious vegetables to your meal. Look for broth-based soups that do not have flour as a thickener. Also make sure the soup does not have pasta, rice, or white potatoes. Chili can be a great low-carb option. A leafy green salad topped with cucumbers, olives, tomatoes, and other raw vegetables is a great option as an appetizer. Ask for extra vegetables on your salad. Sliced avocado is a great salad topping (and a great burger topping!). Instead of a premade dressing, request olive oil and fresh lemon or vinegar to dress your salad. Filling up on a salad full of vegetables can help you stay away from high-carbohydrate options. Salad bars can be tricky because they are usually full of high-carb selections. Many salad bars have croutons, pasta salad, potato salad, macaroni salad, and various bread choices. Stick with low-carb items such as olives, carrots, peppers, tomatoes, cucumbers, snap peas, nuts, garbanzo beans, avocado, and other fresh vegetables. If you are unsure if the restaurant you are eating at uses organic produce, adhere to the clean 15 rule by selecting produce that is less likely to be contaminated with high levels of pesticides and herbicides. Before ordering dessert, take a moment to check in with yourself. Are you still hungry? If not, enjoy a coffee or tea sweetened with stevia. You can add butter or cream to your coffee to make it more satisfying. If you decide to have dessert, remember that dining out is not an excuse to splurge on an unhealthy, high-carb, sugar-laden dessert. You can have a delicious dessert without a ton of carbs. A wonderful dessert that is low in carbohydrates is fresh berries. Strawberries, blueberries, raspberries, and blackberries are lower in carbohydrates than other fruits. You can top the berries with some whipped cream. Sorbets or frozen yogurt are thought to be healthier options, but both are full of added sugar. 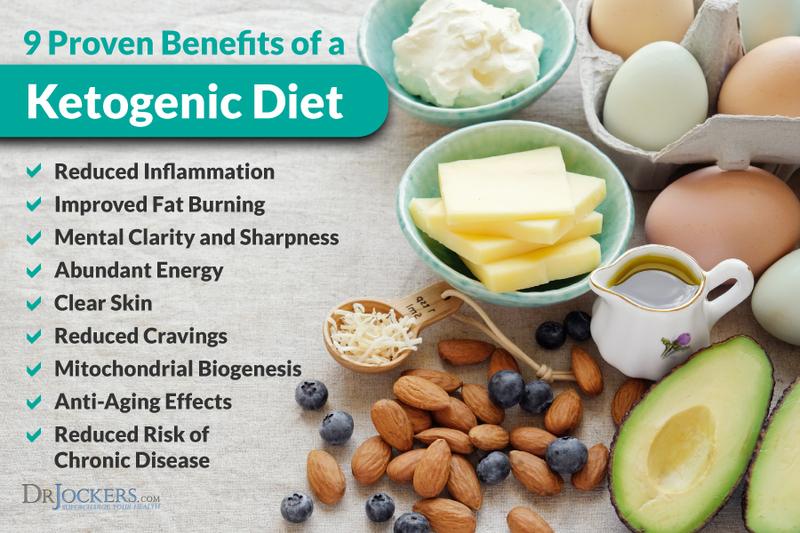 It can be very beneficial to eat low-carb for a number of reasons. Preparation is key to eating low-carb while dining out. Research restaurants and study their menus to decide where you are going and what low-carb options are available. When you are ordering, ask the server questions about the menu, make special requests to substitute high-carb options, order first and one course at a time. Order water with lemon to aid the digestive process. Send back the basket of bread and ask for pickles or raw vegetables with guacamole. Select an entrée with a clean protein, low-carb vegetables, and healthy fats. Order the sandwich or burger with a lettuce wrap rather than a bun, tortilla, or flour wrap. Be careful with sauces, dressings and condiments that can be full of sugars, GMO oils, artificial sweeteners, and preservatives. Soups and salads can be low in carbohydrates if you stay away from pasta, rice, white potatoes, and croutons. Low-carbohydrate dessert options are coffee with grass-fed butter or cream and fresh berries with cream. While it can be difficult to eat low-carb while dining out, you can be successful following the guidelines in this article. 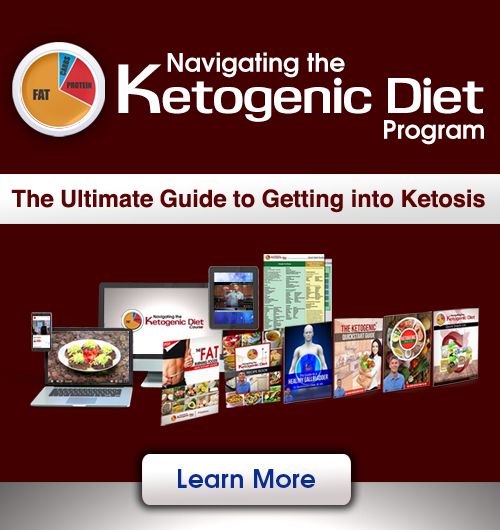 For more info on a low-carb, ketogenic diet check out this article.